All of us hear about Diabetes Mellitus, a common health problem in modern life, but very few of us know about Gestational Diabetes (GDM). Actually, it is a form of type 2 Diabetes Mellitus which first appears during pregnancy or diagnosed during pregnancy and usually disappears after the birth of the baby. Even if gestational diabetes disappears after the birth of the baby, the mother has a 60% chance to develop type 2 Diabetes in her later life. 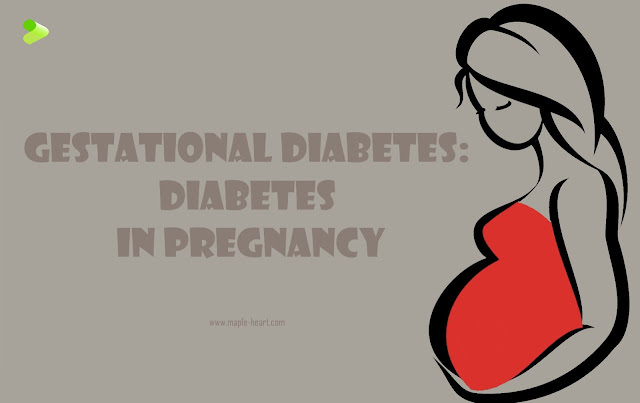 GDM usually develops between 24 weeks to 28th weeks of pregnancy and quite common, so all women are routinely tested for Gestational diabetes around this time of pregnancy. Who is more susceptible to develop Gestational Diabetes? A positive family history of type 2 diabetes mellitus. Age for more than 30 years. Race: Asian, Pacific Island Ancestry. Have had GDM during the previous pregnancy. Previous birth of a baby weighing more than 4 kg. History of unexplained fetal death. Repeated vaginal candidiasis in recent pregnancy. What are the symptoms of GDM? Opportunistic fungal infections, like Candidiasis. However, the majority of the women presenting with these symptoms do not have gestational diabetes. What Happens, if GDM is not controlled? They can give birth to a larger baby, which can cause difficulties during delivery. Babies from mother with uncontrolled GDM can develop Hypoglycemia immediately after delivery. If the baby is born early, due to its large size, the lungs don't mature and the baby can develop respiratory distress syndrome. Babies from mothers with GDM have more chance to develop type 2 diabetes as well as obesity in later life. Why Hypoglycemia develops in the baby of a mother with GDM? It is seen, because, baby gets high glucose supply from the mother during pregnancy, which causes excessive insulin secretion from the pancreas of the baby to reduce the glucose level. But after delivery of the baby, glucose supply suddenly reduce and the stimulation for secretion of insulin may remain the same as a result, the baby develops hypoglycemia. Women can significantly reduce their chances of gestational diabetes by considering some important lifestyle factors. 83% of GDM can be reduced by adopting a healthy lifestyle like, avoiding smoking, make healthy food choices, regular exercise. A diet low in refined carbohydrates and sugar is a better choice towards avoiding GDM. Proteins, fat, vegetables, salads, nuts and seeds are a good choice and also a good source of nutrition. However, still, some women will develop gestational diabetes regardless of how healthy their lifestyle is.